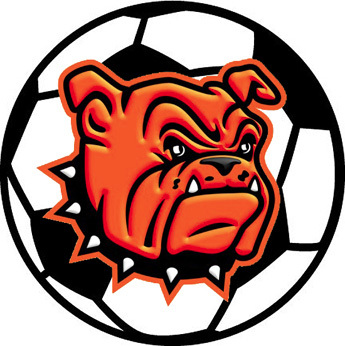 After falling to Goddard Oct. 16 to start Round Two of District 4-AAAA play, the Lady Bulldog soccer team was left with one goal atop their immediate list: win out. To stay comfortable in the assumption they’ll earn a spot in this year’s Class 4A State Tournament and to leave nothing to the dice roll that is seeding and selection, the Lady ‘Dogs needed solid wins in their final two bouts of the regular season against Portales and Lovington. They checked the first box Saturday with a 3-0 shutout of the Ramettes on the road. “We knew we have to get both of them,” head coach Tim Trentham said Saturday. “We have to leave no doubt when it comes time for seeding of where we should be, and it goes a long way in convincing them by not letting in goals in district play. The Lady ‘Dogs took a 1-0 lead into halftime against Portales, that goal scored by freshman Abigail Rios in an opening 40 minutes that was something of a tennis match. In the second half, however, chippy became clobbery as the Ramettes began trying harder to draw blood than score goals. One such foul, which saw a Portales player launch herself at freshman forward Zailor Lopez and throw an elbow to the side of her head, resulted in a penalty kick, which junior Destiny Gonzales delivered to make it 2-0. Lopez would go on to get her goal later in the half to round out the 3-0 final. “Portales just kind of shot themselves in the foot playing that way,” Trentham said. “They were slowing us down by doing it, but in turn, they were giving away free kicks on their side of the field and weren’t allowing themselves opportunities to take possession and counter off our attack. 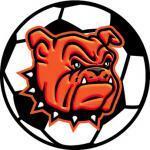 The Lady Bulldogs (10-6-1, 3-1-1) will now prepare to close out their regular-season campaign at home at 6 p.m. Thursday against Lovington. Artesia topped the Lady Wildcats 5-0 in their first meeting Oct. 13 in Lovington. “We tend to do well on our home field,” said Trentham. Artesia suffered just a pair of losses at the Mack Chase Athletic Complex this season to Class 5A Clovis and Carlsbad. “It’s the last home game for our seniors, and they’re all excited and ready for that moment.